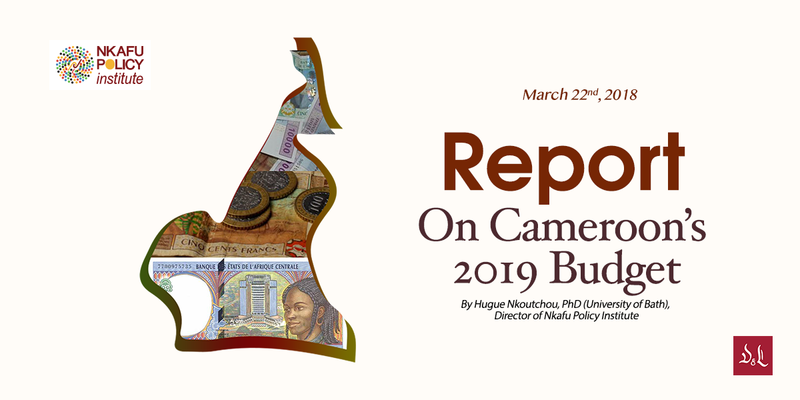 Across the world, policy specialists have expressed serious concern on what has been referred to as the rising gap between official public policy and policy implementation. Particular to some nations, especially the nations of Sub-Saharan Africa, is the rising curiosity of researchers and experts concerning the policy making process; given that this part of the world remains the least developed. This is the case, in spite of the numerous development interventions from donor countries and development institutions, in a multitude of sectors. Recent research on development has many social scientists and even policy makers attributing this lag in development and poverty alleviation to corruption and bad governance. The lack of evidence justifying various policies and development interventions accounts for a huge proportion of policy failures and resource misallocation. As a result, many stakeholders are calling for the building of evidence-informed policy networks to enhance effective evidence-based policy making. Some institutions like Development Research Uptake in Sub-Saharan Africa and Africa Evidence Network have risen to the challenge despite the bottlenecks, ensuring that policy is an outcome of locally contextualized development research evidence. Evidence-based Policy Making: What Relevance? Financial resource scarcity brought about by ineffective taxation systems and the downward spirals of commodity pricing have left many African nations with few resources to execute development and social programs. In fact, most African countries today are unable to collect taxes at a level comparable to that of the United Kingdom in 1700s. It is this revenue system that these countries depend on, more often than not, for development aid and loans—both domestic and foreign. Requirements, some of which can hardly be fulfilled, factoring in the local conditions accompany this international development assistance, resulting in the too familiar outcome of massive resource wastage. The results, or lack thereof, can obviously serve as a basis for determining – at least by mere observation, whether or not programs are or were effective. However, the use of research studies imbedded in quantitative and qualitative data collection and analysis and often requiring very limited financial resources, could have predetermined the efficacy of such programs and their cost effectiveness. These studies could easily provide evidence for the amelioration, implementation or outright rejection of specific programs. Evidence-based policy making, therefore, is an approach to policy formulation that prioritizes rigorous research, data analytics and in-depth evaluation of innovations above anecdotes and inertia around the status quo. With increasing political disunity and diminishing public resources in many sub-Saharan countries, this approach also possesses the potential to bridge the political divide; garnering support for research-based debate about what outcomes are needed to be achieved, for whom and at what cost. It is an approach for not just public policy formulation but also, and even more relevant, to development institutions seeking to make an impact through their various development projects and interventions. Even though this approach is still a nascent concept, specifically in Africa, it has proven to be invaluable. It is yielding a preponderance of positive outcomes in East, West and Southern Africa, through research carried out mostly by the Innovations for Poverty Action, using Randomized Control Trials. Applied across numerous program areas, from agriculture, education and governance to health, peace and recovery, small and medium enterprises and social protection, tremendous impact has been recorded and lives have improved. Some countries, like Rwanda have signed accords to strengthen their capabilities in this approach to policy formulation. Certainly, it [evidence-based policy making] is less well established in developing countries than developed countries, thereby suggesting an opportunity for the former to formulate informed policies and improve lives especially as this part of the world is home some of the most impoverished and corrupt nations. 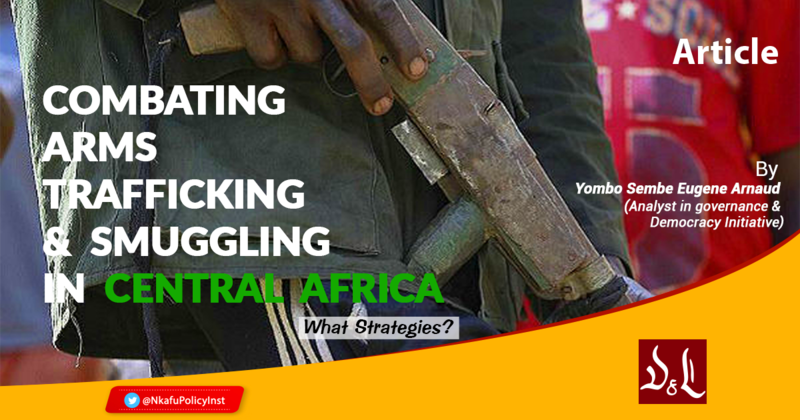 Notwithstanding the strength and effectiveness of this evidence-base policy formulation strategy, many countries, particularly those of central Africa, (CEMAC) still carry on with very archaic, expensive and a somewhat visceral method to policy formulation. This, undoubtedly, has led to significant waste and unaccountability and has further plunged millions into poverty while indebting the nation. One such case is the planned distribution of laptops to 500,000 university students in Cameroon. Firstly, the government is borrowing money – approximately FCFA 75 Billion – from China to obtain these laptops from a Chinese company. From an economic standpoint, investing this money in Cameroon for the establishment of a computer assembling or manufacturing plant would contribute many times over to the country’s economy. It would employ Cameroonians and lead to immense technological transfer and human capital development in subsequent years. The ripple effect, also known as the multiplier effect, would be greater than that of merely purchasing and distributing laptops to university students. Investing the money in this way would increase, greatly, the export portfolio of Cameroon. In essence, borrowing to purchase and to distribute a finished product is a very bad investment. Additionally, questions relating to prioritization are gaining traction. Should investments to boost broadband and expand internet access (software) be a priority over the purchase of laptops (hardware)? Going by a 2014 Study by the Alliance for Affordable Internet, Cameroon is one of the least connected countries in the world; with only about 6 percent of Cameroonians using the internet. Some reasons for this include limited international bandwidth, severely limited competition in the mobile sector, a regulator struggling to come to grips with consumer protection demand and a weak civil society. Against the backdrop of these problems, add the proper investments to promote “e-learning,” boost the digital economy bandwidth expansion and promote competition. These definitely will expand access and increase choice options for consumers. Such objectives and investments can be accurately carried out only by the private sector. Secondly, the objective of this gesture is unclear. There is mention of promoting “e-national learning”. The president or his advisers failed to mention what aspect of “e-national learning” they intend to boost, and if all the 500,000 students targeted are directly involved. Even if that were the case, would all of them need laptops? Some may already have laptops and using scarce financial resources to get another is blatantly wasteful. This is to say that a study to establish the number of students who have laptops, versus those who do not have but need one, was necessary to ensure cost minimization and prevent resource misallocation. In addition, even if all of the above had effectively been completed and those deemed eligible established against the backdrop of the project objective, it is imprudent to distribute all the laptops at once or in the same period. To measure the impact of this distribution of laptops on e-national learning, the laptops should be distributed in batches with a time lag of at least 6 months. This will enable evaluators to actually measure the effectiveness of the program against a baseline study. This essentially would be looking at the outcome, estimated by specific variables of interest and establishing what the situation would have been had the program not taken place. Such a study would ascertain the project’s impact. By so doing, necessary changes in strategy or project execution could be made to ensure maximum impact as the program unfolds. With the above approach, backed by evidence and intensive data collection and analysis, this project definitely would be yielding better outcomes at lower rates with minimal wastage. The current strategy has wasted resources; the laptops are only 32 gigabits, and the price reported for such low-quality devices is exorbitant and incomprehensible. In addition, not all those receiving the hardware really need them. There are reports of some students selling theirs at giveaway prices. Absolutely no one, in numerical terms, will be able to state the impact— positive or negative—of such a project. As illustrated above, an evidence-based approach to policy making is necessary to make use of scarce resources, ensure accountability and maximize impact of various interventions. Also, and more importantly, this laptop project is not “a gift” as reported by the government. A loan was obtained for this project and it is binding on the country to repay its debts. The burden of repayment will fall upon the taxpayer. Referring, therefore, to the laptop distribution as a “Presidential Gift” is a misnomer.